Manuals for repair, operation and maintenance of the Audi A3 vehicle since 1997 of release. All models Audi A3 / S3 with in-line 4-cylinder gasoline engines 1.6, 1.8 and diesel engines 1.9, front-wheel drive and four-wheel drive, equipped with a 5-speed manual transmission, or 4- or 5-speed AT, produced since 1995. Hundreds of illustrations show the controls and individual stages of work. The sections on quick and easy troubleshooting help in troubleshooting. Electrical circuits diagrams help to quickly identify faults in the electrical system and facilitate the installation of additional equipment. The electronic manual on repair, operation and technical maintenance of cars Audi A3 since 1997 of the issue equipped with petrol engines in working volume of 1,6, 1,8, 1,9 l. and diesel engines with a working volume of 1.9 liters. The repair manual contains hundreds of illustrations that show the controls and individual stages of work. The sections on quick and easy troubleshooting help in troubleshooting. The engine repair, power supply system, exhaust system, clutch, gearbox, suspension, steering, brakes, wheels and tires, body, electrical equipment, other units and units of the car are covered in detail. The separate sections of the workshop manual include the instruction manual for Audi A3 and the electrical equipment (wiring diagram) for the car. 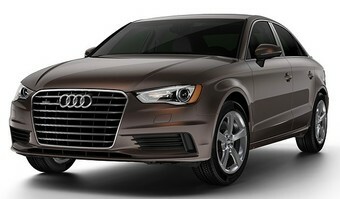 All models Audi A3 \ S3 with in-line 4-cylinder gasoline engines 1.6 \ 1.8 liter. and diesel engines 1.9 liters, front-wheel drive and four-wheel drive, equipped with a 5-speed manual transmission, or 4 and 5-speed AT, produced since 1995. And also recommendations on maintenance and diagnostics of electronic control systems. Diagnostic fault codes for Audi A3 are given. A separate section is intended for acquaintance of the owner of the car with the organs of its management and operating methods. The manuals of this series are irreplaceable. They are advantageously distinguished by the completeness and quality of the material provided, the professionalism of the compilers.